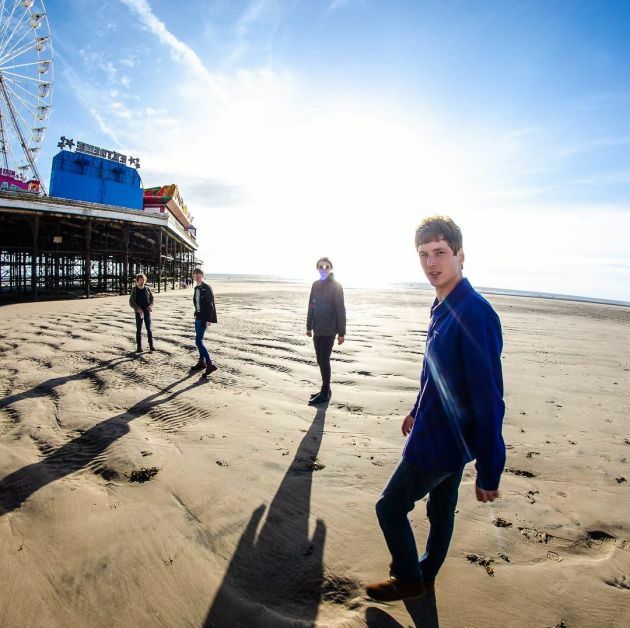 TWISTED WHEEL were the 20 year old feral rock’n’rollers who tore open the last Oasis shows in 2009 while playing many sell-out headline shows for two years straight. Retreating to lick their wounds and terrorise the neighbours, the band now return a decade later with their irreverent disregard for commercial domestication, after a hugely successful ‘Snakes & Ladders’ UK tour which saw them play over 40 venues, they’re back with some brand new material. Here is the new EP ‘Jonny Guitar’, as you might expect, the boys aren’t coming back quietly and the track is as raucous as they ever were. The new songs were included in sets over the Summer and have already become firm crowd favourites. The aforementioned ‘Jonny Guitar’ detailed lead singer Jonny Brown’s final last breath as an addict, pawning his guitars and hearing the ‘shouldawouldacoulda’ declare his reputation. The other tracks, ‘Rebel’, ‘Keep It Up Boy’ and ‘The Convoy Man’ ( a one minute tribute to a cooing pigeon) all demonstrate the bands uncanny talent to maximise the elusive eternity in the ordinary and Brown’s ability to create anthems and palaces from the trash of life. Jonny reformed the band in January, since then they have been rehearsing, recording and relentlessly touring. The EP is both a thank you for the fans that have welcomed them back, stayed faithful over the past decade and a teaser for the monster incipient wasp of an album appearing later this year. After two huge shows supporting Liam Gallagher at Finsbury Park and Lancashire Cricket Club and a UK number 1 in the physical charts in June this year, it’s safe to say they’re back where they belong.